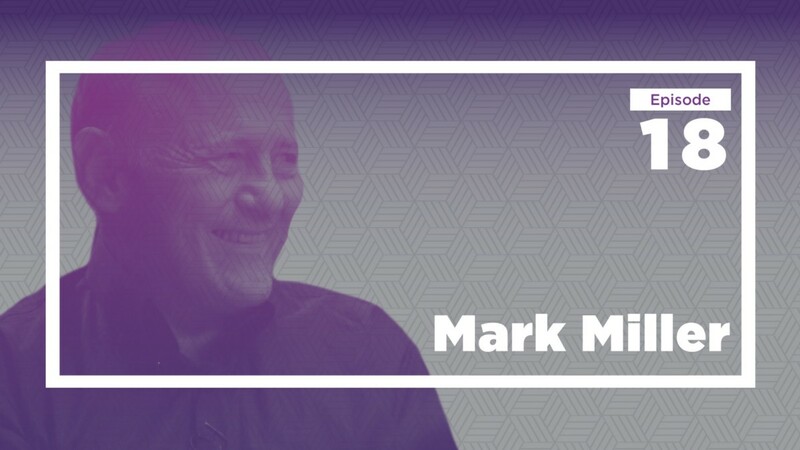 Mark Miller is often called the founder of modern southwestern cuisine, but his unique anthropological approach to food has led him to explore cuisines in over 100 countries around the world. He joins Tyler for a conversation on all that he’s learned along the way, including his pick for the most underrated chili pepper, palate coaching, the best food cities in Asia, Mexico, and Europe, the problems with sous-vide, why the Michelin guide is overrated, mezcal versus tequila, the decline of food brands, how to do fast food well, and why the next hipster food trend should be about corn. You can also watch the full conversation here. 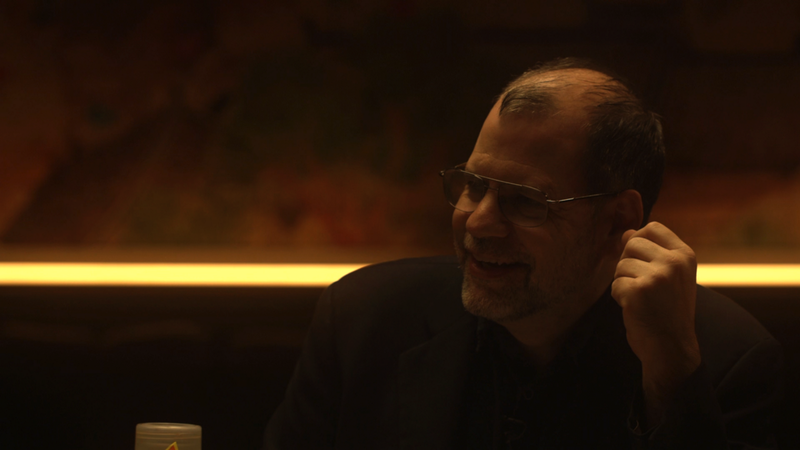 TYLER COWEN: Welcome to this installment of Conversations with Tyler. 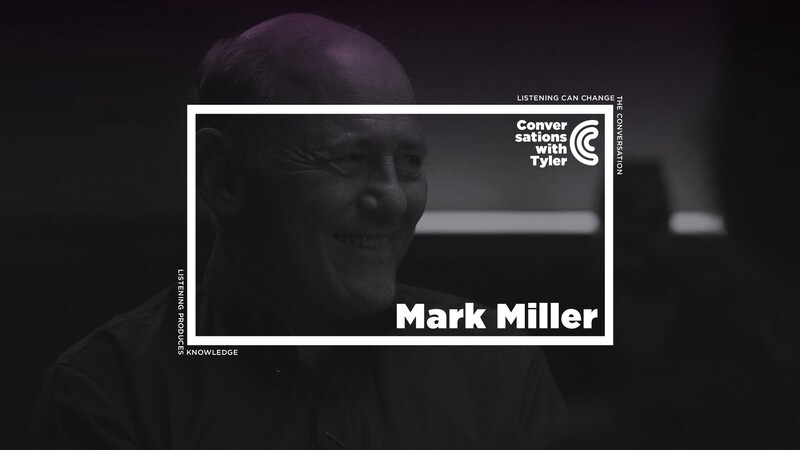 Today, the guest is Mark Miller, who is one of the most extraordinary food minds of our generation. It’s hard to even summarize what Mark has done. I think of Mark as the modern founder of southwestern cuisine. He’s well known for having been the driving force behind opening Coyote Café, which transformed the Santa Fe dining scene. In Washington, DC, where we are now in the Panda Gourmet restaurant, Mark is best known for Red Sage, a southwestern restaurant, that was one of DC’s best for a long time. Mark has written numerous books on food, on salsas, on chiles. He has the very best book on tacos. 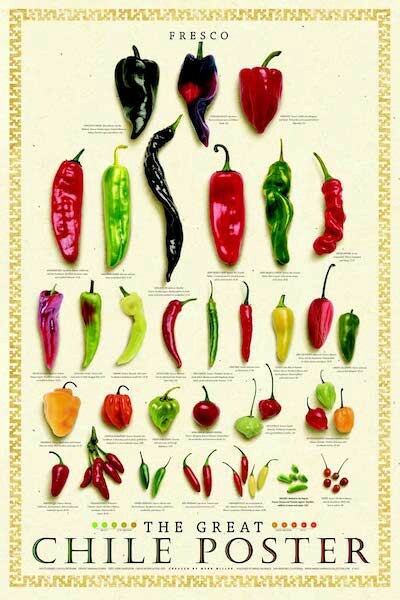 If you’ve ever seen a famous poster of all those chiles, the Chile Poster — well, Mark did that. Mark’s been connected with a lot of restaurants. He originally studied anthropology at Berkeley. I think of Mark’s contribution as synthesizing anthropology, cooking, studying food through books, studying food through practice. He’s lived in 20 countries, traveled in over a hundred, and he understands taste, sensation, and context of food — its anthropological setting combined with all this fantastic real-world experience. On top of all that, Mark has been a food consultant for more companies than I can name. That’s just my very brief introduction to Mark, and it doesn’t begin to do him justice. We’ll start the conversation in a moment. We also have with us Megan McArdle of Bloomberg View. Megan is a long-standing friend of mine. In addition to her writing on politics and economics, Megan was, arguably, the very first economics blogger. She is deeply involved in the food world. Megan each year writes the single best guide to kitchen equipment — what is new out each year. We’ll start by chatting with Mark. Then Megan will come in with some questions. So, food worlds. I’m very interested in how you think about food worlds and this contrast between the food worlds of China, Japan, Tokyo, and South Korea. You told me you thought Seoul had the most interesting and creative food world of those three. Tell us why you think that. MARK MILLER: I’ve been traveling to all three countries for approximately 40 years or more, so I’ve really seen them transform themselves. I’ve also seen how they adapt and how they acculturate other international influences. I’ve been going to Japan since I was a student at Berkeley — 1969 was my first trip. I’ve been going to China since the ’70s. Seoul is the one that I know the least, but I’ve been following it for about 15 years. Recently, in May, I went to the big Seoul Food show where I actually ate a hundred food products that I had never had before, which was interesting. The other thing that happened was I realized that Seoul had moved in terms of its transformation of plasticity and creativity. There’s a restaurant called Mingles that every single dish was incorporating Korean ingredients, but in a very creative, modern way. They were not afraid to move their food outside of the traditional vortex of what was seen as Korean food, and they were using Korean ingredients in a new way that was authenticating a cuisine. They were doing pizza, they were doing coffee. They were doing very good pizza, that’s almost as good as you’d find, for instance, in Italy. In Japan, when you go to eat pizza, whether it’s Neapolitan, either in Tokyo or Kyoto, you find that they get to a certain level of the form of it, but the flavor and the gestalt and the aesthetic — they can’t quite get at it. They remain Japanese. The homogeneity of Japanese culture is its strength; it’s also its weakness. In China — I’ve been going there for work and I’ve seen some data from one of the big companies that has 7,000 restaurants — we’re seeing that they’re using the Western restaurants in order to create a sense modernity and identity. Whether they’ll really use it for their own personal things — right now there is no other alternative. That social space that’s open from children, through going out, through celebrations and weddings, the Western brands are the markers for special [outings]. Korea, though: I was surprised that first of all they’ve moved so quickly. The last time I was there was four and a half years ago. I would have thought to get to this level would’ve taken them 20 years. Plus the level of Italian, coffee, pizza, modern Korean, French was all exactly where we would be in the United States. COWEN: We’ll get to Japan and China, but more on Korea. The alley food in Seoul and the rest of Korea seems so good to me. If I walk down a back alley, there will be 20 different places I want to eat. Most of them will be outstanding. It might, for instance, be some of the best fried chicken in the world. COWEN: What’s the structure of the food world in Seoul, and other parts of South Korea, that have given rise to that? MILLER: I think that what has happened . . . it’s like Samsung versus Sony. If you actually look at those technological giants, which one has been able to maintain and innovate? For some reason, Sony lost its way. We remember when Sony was the innovative capital, the innovative center of electronics. Yet today it’s Samsung — I mean not given the last one that came out! But, basically, I think the Koreans are forced out of their comfort zone, because they have North Korea at their border. They have China to compete with, being aggressive, and they have the finesse of Japan. Their context of competition, just in their own backyard, is such that it makes them that they can’t be in the — Japan is staying alone. It’s in its own comfort zone; it’s going to stay there. China wants to move and be global, but it’s a big stretch. COWEN: You think Japan, in a way, has painted itself into a corner of perfection? You can have very, very good French food in Tokyo — arguably better than Paris — but it won’t ever be getting any better. MILLER: It would be the same French food that I would have eaten in Paris in 1980. COWEN: You can have a quite good Mexican mole in Tokyo, I found, or Singapore laksa, you can have in Tokyo. The person who makes it might have studied in Singapore for five or six years. He’ll come back with a perfected recipe, but there’s no other connection to that food world. MILLER: In Mexico, if we look at, for instance, part of Mexican food, like Enrique [Olvera] at Cosme in New York, is embracing modern Mexican, and yet doesn’t want to learn ancient, traditional Mexican. Yet it’s moving beyond its roots, and it’s becoming Mexican, whereas Mexico, before, was trapped in looking at Spain, looking at the US, looking at other identity systems, to validate its own food supply. I can give you a good example — mezcal. My good friend Ron Cooper started Del Maguey. That’s a company — 20 years ago, Mexicans would not drink mezcal because it was associated with peasant Mexicans. COWEN: It’s trendy even in Washington, DC . . .
COWEN: We just had a dialogue with Fuchsia Dunlop, who’s written on Chinese cooking. The food world in China, now, how do you see it? Is it getting better, getting worse? Is it headed to become large corporations, as in America, making a lot of soulless food, or is it still on the way up? MILLER: That’s a difficult question, because restaurants that I know, and Fuchsia knows — like Jesse, which is an old restaurant in Shanghai — I was there recently, and I’ve been going to that same restaurant for 20 years, from when it had four tables, by one family. Now they have a multiple, but still — what Fuchsia talked about [the low status of Chinese chefs], though, is going to stop them. It’s the level of status of someone joining a cooking profession. Din Tai Fung: the dumplings have gone down. What’s happening now is, even though they have this great tradition of cooking, the workforce is either coming straight from the countryside without being trained — the restaurants are making a lot of money because the people who are going there don’t have trained palates, and so they just open up and be better. Traditional restaurant: that takes a lot of training, and to go into that, they’re not going to find the workforce. I think that they’re going through a period right now of, probably, I would call, mediocrity. COWEN: Doesn’t the low status of cooking in China, in some ways, protect them? It keeps pretensions out of the food world. It means people from lower socioeconomic backgrounds can become cooks. You can have a grandmother or a grandfather being a cook. You can walk along in Shanghai and find a place where they make dumplings, and they simply roll them. No one there thinks of what they’re doing as an art, but that ultimately enables free entry, and gives people a bit of the freedom that they don’t have in Tokyo. Thus, I would say, you should be more optimistic about food in China. MILLER: Except that the dumplings that I used to see on the streets — I’ve been going to Shanghai since the late ’70s. They were all over the place. Now they’re very hard to find. The Chinese government is afraid of . . . basically, health reasons; is now controlling where food is basically exhibited, where food can be bought and sold. A lot of the shops have moved into some of the department stores, for instance, and are there. There used to be one amazing bao made out of smoked tofu and bitter greens and mustard. I would just wait for my next trip to Shanghai. For 15 years I would go to the same place; it was in the French quarter, same corner, and they had the best bao. It’s gone, and I looked all over, and I can’t even find that bao. I can’t find a noodle, where I used to put out my hand with coins and people would say . . . They didn’t have money then. I used to go to the wet markets and just look at what other people were eating. The last time I could do that was maybe 15 years ago. I haven’t seen a noodle, a hundred noodle stands. In Mexico you can still see . . .
COWEN: But even there, street food is being pushed out of Mexico City somewhat. MILLER: You go to a bus station in Monterrey: you can see a hundred of the best tacos in the world. COWEN: Asia for now still. Let’s say someone comes to you. “Mark Miller, you’ve been to over a hundred countries, eaten in them for decades.” They say, “I have two weeks to do a food tour in Asia; you should pick for me three cities.” What are your selections? MILLER: I would pick Seoul for sure. COWEN: OK, Seoul. That we’ve covered. MILLER: Seoul for sure. I would pick Bangkok, and a toss-up between . . . I would pick Tokyo. COWEN: You would pick Tokyo. COWEN: So Bangkok. Say someone’s in Bangkok. They don’t speak Thai; they’re puzzled; they don’t know what they’re doing. They don’t have a Thai friend. Conceptually, how should they think about finding the best food in Bangkok? MILLER: Go to the night markets. The food on the street is just amazing; it’s probably the best in the world on the street, and it has the most variety. It’s the freshest. The Thai people also are very clean. I’ve never been sick once; I’ve been eating food on the street forever. Chatuchak, the largest market in the world, has 15,000 booths. Probably you can just spend four hours and eat a hundred dishes. My record in Bangkok one day is 14 restaurants and 75 dishes. And I actually ate them all, not tasted them. [laughs] And probably spent less than we’d spend in Washington in one night. COWEN: Get a hotel in that part of Bangkok, and just go eat there. MILLER: Yeah. There are some good books. There’s a street-hawker guide; there’s some good bloggers who are out there, but I would not be afraid. The thing is, always with street food, is always go . . .
COWEN: I have a bias against malls, when it comes to Southeast Asian food. I tend to think malls are worse than street food. MILLER: No, but in Kuala Lumpur, they went through the entire country and they picked the best street food and put it into the mall, so that people could experience the best of the entire country in one place. That’s the reason that people go to the hotel. [laughs] Also, when you go in Singapore, the Hyatt — they have 27 chefs, each from different parts of Singapore, running each station within that one dining room. COWEN: Malaysia or Singapore: which has better food? COWEN: Singaporean chefs, you mean. MILLER: Singaporean chefs, that are . . . they know Chinese food; they have access to the best ingredients. They know Western food, and they have their own tradition, from Malaysian to the original, help me there, the Straits cuisine, the . . .
COWEN: Take Indonesia; they have great weavings in Indonesia. MILLER: Yes, I lived in Ubud in 1970. COWEN: But I’m often disappointed by street food in Indonesia; it seems just the quality standard — it’s a bit like the Philippines, though not as bad. MILLER: Yeah, but the great dishes, like Balinese duck, that has 28 ingredients in it — it’s amazing. It’s amazing dishes. Those temple foods, those festival foods. I remember three days at the feast of the temple — the feast of the Coconut Goddess — there were 127 dishes made in those three days. But the variety and richness, and we come back here in the United States, and you have a hamburger and a hot dog. COWEN: Let me ask you some questions about chiles: the area where you’ve probably had the greatest impact of all food areas. Here I have some mulato chiles. If you look at a lot of food recipes, if you make a Mexican mole, you will use more mulatos than any other kind of chile. Not always, but quite typically. Say in the Rick Bayless recipe. Now why is that? What is it about this chile? COWEN: Do what you want with it; we can buy another. MILLER: First of all you have to open them up, because 90 percent of all chiles are mislabeled. MILLER: That’s one of the problems. Whatever it says on the package may not be true. The point is that mulatos, when you hold them up to the light, like this, see it’s more purple and more reddish . . .
MILLER: More cordovan. That is not a mulato. MILLER: Yeah, that’s an ancho. Because a mulato will be more coffee-ish and more dark-tone. What a mulato will do is actually have those flavonoids that are coffee and chocolate. Those in a mole are the undertones of the wide sort of structure or the wide foundation of those flavors that we really like. Now the fruit tones, or the capsaicin, or the spicy tones, you basically accessorize. The ancho is always the workhorse, because it carries the most fruit. The mulato carries the coffee and chocolate, which is those more-or-less fermented umami — more complex sort of flavonoids. Then we throw in some guajillos, arbols to brighten it all up and get it going. COWEN: What exactly will go wrong? You’re a supertaster; you can tell the difference. What will be missing? MILLER: Well the thing is, is that . . . I’m going to taste this for a second. COWEN: Do as you wish. MILLER: We can all taste it together. First of all, whenever you taste the chile, this is a vein here. You want to stay away from the veins always. They contain 60 percent of the capsaicin. You always stay away from the veins, even if you can’t see them. The other thing is, this is old. This is what’s called a grade C chile. It’s small, and it’s dried, and it’s last year’s crop. They lose their perfume. They’re like flowers. What you end up is, you end up with the capsaicin. This is a little bit bitter; did you notice? MILLER: Like bitter tea. A little bit like lapsang souchong; there’s a little bit of that smoky, woody, mushroomy flavor. Where’s my coffee and chocolate? Where is it? It’s not here. COWEN: It’s been taken from you. MILLER: If you use this in your recipe you’ll say it didn’t come out well. You know what you didn’t do? You didn’t taste your ingredients. You’re not going to get that wonderful, warm flavor that mulato is supposed to have. COWEN: If I want a real mulato chile, how do I actually get one? Given that 90 percent of it according to you is fraud, or at least misleading or someone made a mistake? MILLER: You need to recognize when . . .
OK, the other thing: when you buy chiles, the thickness of the flesh is the most important thing. All fruits: where do the tannins come from? Skins, seeds, and stems. The thicker the flesh, the least percentage of tannin. That’s what Mexicans do. They look for the most pliable, they look how thick it is, and when you hold it up to the light, they can tell how ripe it was before it was dried, how much fruit flavor is going to be there. Those are the big primeros. So when you’re using a mole, you’re really reincorporating fresh-fruit complex tones into it. The last thing they’re looking for is heat. That’s the last thing they’re looking for. MILLER: Also, notice it’s still bitter on the palate. MILLER: It tastes a little bit like the fruit leather; it’s kind of stale. COWEN: This one claims to be an ancho, but we’re happy to hear your revisionist take on it. MILLER: This is bigger, for one, and it’s a little bit darker. It’s got that really dark, dark, dark, almost black, blackish-brown look. You need to hold them up to the light, because that tells you. That’s red, like an ancho. It’s pretty even inside; there’s no mold. If you get one moldy chile out of 40, that’ll ruin the mole. A lot of people don’t look for them. When you rehydrate them you taste the mold. This one, the leather again, it should taste like a fruit leather. Don’t think chiles. What we were talking about with Fuchsia, the paradigm — what you have in your head when you go after the taste is what you will taste. If you think chiles and go for heat — you need to think fruit leather. Which fruit do you get? Tell me the fruits you get. Not whether it’s spicy or not; which fruits? MEGAN McARDLE: [tasting] It’s interesting. MILLER: Is it cherry, apple, blackberry, blueberry? McARDLE: Maybe apple, maybe cherry. Not blueberry, not blackberry. MILLER: No . . . it’s definitely like cherry. It’s actually black cherry, or sour cherry, and it has little bits of woodsiness. There is this blackberry-currant cassis, almost, like the French cassis flavor, at the bottom. The point is, when you work with ingredients, I don’t care if it’s chile, coriander — I have four different corianders, from Indian to this, with cumins. When you cook an ethnic food, a poor chef, what they’re doing is they’re controlling their palate. It may look like those ingredients are not important; they’re not expensive, but they’re very, very important. This is not a bad ancho; I would say B-plus. COWEN: Here’s supposedly a pasilla. Tell us the difference, and if that’s even what it is. MILLER: It should be longer, for one thing. And it should really get those black currant, black fruits, blackberry, when you . . . again, think black fruits. COWEN: Is this just an ancho? Have I brought you three packages of anchos, actually? MILLER: Maybe. Yeah, that’s what it is. COWEN: It seems that’s what . . . it’s ancho everywhere. COWEN: They are really wide, then. MILLER: A little bit. The second one was the best one. COWEN: The second one was the best one? MILLER: Most fruit tones, freshest, and less tannic. What you don’t want, like a bitter wine — you don’t want tannins. COWEN: What’s your economic theory of why these different chiles get mixed up, and they’re all anchos but they come out under different names? MILLER: [still tasting] Notice the amount of licorice, though — the amount of black licorice. The reason is that the wholesalers basically . . . part of it is they’re run, a lot of times, by non-Mexicans. Even if they’re run by Mexicans, they only know the chiles that they grow up in their region. I’m teaching in a seminar in Mexico City at the end of the month, and I can literally take out chiles and hand them to Mexicans that don’t know what they are — they’re from another area of Mexico. If I ask them to hold up the chile and taste it, and tell me the flavors, Mexicans can’t do that, because it’s not the way they approach them. I mean, the older women do, but the young chefs don’t. It’s interesting. COWEN: How many different kinds of chiles do you know? MILLER: I once had a collection of about 250 in my garage, but some of them are the same, like arbols. Interesting story: I was traveling around Bhutan, and I was going from town to town, and I had the Chile Book, this book, with me. There’s this myth in Bhutan that chiles come from Bhutan. COWEN: [holding up book] The Chile Book: there it is. Every town I went to, it was the same thing. Here a whole culture grows up with this history that they actually have had chiles. Of course, the Portuguese brought them into Thailand, and then they migrated through the trade routes into Bhutan, and that’s how they got there. They’re only the cayenne varieties. They’re only the arbols and so forth. They don’t have any of these chiles. Even if you grow these chiles, for instance let’s say you grow these chiles in Washington, DC: It won’t have the right flavor, because it won’t have the right ultraviolet; which has to be grown in the mountains above 4,000, 5,000 feet, and it doesn’t have an alkaline, volcanic soil. The central Valley of Mexico makes the best anchos and pasillas in the world. When you go to the market, San Luis — that one village in that one place makes the best particular. COWEN: In what state is that? MILLER: In the state of México. COWEN: The state of México? MILLER: It’s amazing that they know their chiles. COWEN: There’s a debate in Mexico right now — you probably know about this — that China is exporting cheaper chiles to Mexico. COWEN: But some of the Mexicans don’t like this. How will that play itself out? What’s going to happen? MILLER: They don’t know the flavor profile. Part of it is, they basically are undercutting the market. You see them in Oaxaca; they’re anchos there, I can tell. They’re very bitter, very alkaline-ish; they don’t have a good flavor, but people are buying them because of economic necessity or that they don’t really know the difference. When I worked in Sweden with spice companies, I’m not allowed to buy Mexican chiles, which really offends me, because of the microlevels of bacteria that are on them. They’re not irradiated, so we can only use, in Europe for instance, irradiated things. They have to come from Peru. We don’t buy them from Chile, but we buy them from Peru. All my sauces I then have to adapt, because I don’t get great anchos or great mulatos, but you can adapt. COWEN: Here’s a jalapeño pepper. Very popular in the United States. I can even go into a Giant or Safeway supermarket and they will have these. They seem, to my untutored palate, to at least be serviceable. Why is the jalapeño so popular in the United States? MILLER: It’s probably because basically it’s the chile of northern Mexico, where most of the migrant workers come from, and it was part of the Tex-Mex tradition. It’s very simple. You can use it fresh, mostly, just right away. You can cut it up, use it in salsa fresca; you can put it in a blender; you can cook it in eggs; it’s a very easy chile to use. It has, for me, a lot of flavor that is more akin to the green bell pepper with heat. I prefer poblanos, which I think are richer, and the poblano, as you know, is the predecessor. COWEN: We have one right here. MILLER: Yes. The poblano: this is actually where the bell peppers come from. This has much more depth. It doesn’t taste like green pepper, it’s not gaseous, and it has what I call real green-chile flavor. There’s only two in the world: New Mexico, the true green chile, grown at high altitudes. If you grow it at low altitudes, it’s the Anaheim. This, once again, grows in Mexico. Roasted, I think it’s supreme. COWEN: This is one of my favorites. MILLER: Interesting: in China, they don’t use it. They don’t grow it. Even when I see it in the markets in China — I went through China with a chef once, and we bought the chiles. We would roast them, and actually put them into Chinese . . .
COWEN: Here’s a habanero; splendid orange color. What’s this good for, nothing? Isn’t it too hot? MILLER: It’s big, which bemoans me that it might not be the right one. Well, it’s got a good smell. The habaneros are the chinense family, the tropical family. You want to use it for its tropical tone. What you do is you open it carefully — and capsaicin hits your nose here. You don’t actually have to touch it; you can feel it right there. You should know the heat of every one; go easily across the nose . . . Here, though, you get a wonderful orange, mango, papaya scent. This roasted, and with the seeds and the veins taken out, reducing the heat by 60 percent: it’s still going to be hot because I have 20 percent left in the flesh. It’s going to actually round out and pull up all that beautiful tropical aromatic. That will make that pineapple, or salsa, or jerky, that will make it wonderful. You smell the tropicalness? Don’t touch where it is, but just smell, and think orange, mango, fruit, pineapple. It’s amazing. COWEN: What’s the most underrated chile in the world? MILLER: The most underrated chile in the world? I would probably say the poblano. MILLER: I can do 100 dishes, I can do 100 salsas with this one chile. COWEN: How about from Peru, the ají amarillo? That might be one of my picks. MILLER: Rocotos and ají amarillo, there you go. COWEN: Yes, absolutely. What makes them special? MILLER: Well, they don’t have the depth and complexity. They’re more jungly. Chiles don’t like high nighttime temperatures; they like cool nighttime temperatures. The rocoto: when you have a tiradito, you’ve got to be in ceviche heaven. MILLER: Those chiles, though, when you make dried sauces out of them, they don’t have a marriage of complexity like the Mexicans. The Mexicans: when you’re in Bali and you’re looking at a weaving from 1900 that’s a triple ikat, the complexity per knot for this is just what Mexicans attain with their sauces. The pre-Columbian Peruvians had every single method of weaving, and yet the Mexicans — the reason I’m attracted so much to Mexican food is that they literally have probably the most complex uses of spices and chiles in the world, no question. COWEN: In Mexico, where is the best region to eat? MILLER: I would still say the three regions; I like Puebla. COWEN: Yes. I’ll be there in two weeks, by the way. MILLER: I think Puebla is underrated. I like the mole verdes in the morning, and the mole amarillos. Of the seven moles, the mole amarillo there is better than Oaxaca. People talk about Oaxaca. Oaxaca is good, but not in the city of Oaxaca. COWEN: It’s a little overrated, I would say. MILLER: You have to get outside. The place that has the pasilla de Oaxaca, the great smoked chile, the best smoked chile in the world — smoked for three days with seven different hardwoods — requires nine hours in a Land Rover to get to that village. COWEN: Let’s say you could pick, not a city, but one village in Mexico, and I’m going to send you there for a week, and all you can do is eat. Which village do you pick? MILLER: In the old days, I would have said Mérida, but not anymore. I would still say — I like Puebla today. MILLER: Puebla, and that area. COWEN: Your take on pre-Hispanic Mexican cuisine. It has a lot of insects, it has fried worms, it has mosquito larvae — . MILLER: Those are, as you know, they clean the canals. They actually got rid of the diseases that way. The most interesting thing about it, though, is we actually went to the museum and looked at the pre-Columbian metates that were done for the nixtamal, and guess what? MILLER: They were never washed. COWEN: They were never washed? Why is that? MILLER: When you nixtamal corn, it becomes more nutritional, because you free up all the amino acids. The Italians have polenta; they’ve got pellagra. What happens is, people talk about how fat Mexicans are, and how prediabetic. The reason is that they are using a postindustrial diet; the probiotics weren’t put back in. Traditionally, the metates were never washed. They had levels of probiotics in there that were put back in, and the women, for the texture inside the tortillas, would use wild grasses that actually contained the largest amounts of wild yeast. The reason you see that previous to 1925 in Mexico there’s no diabetes, is the probiotics and digestibility — one of the reasons — of the masa itself. MILLER: The flavor changes. I was up in the mountains with a woman, and I had the best tortilla I’ve ever had in my life, and I couldn’t figure out why she was getting this flavor. It’s a 500-year-old farm. The reason was what happens when you use probiotics? In yogurt, in ice cream? You change the flavonoids. Essentially, not only was it about health, she was making a more complex flavor and interesting dish. What I go to villages for is to study those perceptional patterns of how and why are they getting more complex flavors. They don’t buy things on Amazon or go to the store or go to Whole Foods. They are actually using their body as this window of opportunity to create complexity. COWEN: I send you back to central Mexico in the middle of the 18th century: (a) how good is the food and (b) how recognizably is it like — 1750, let’s say — how recognizably is it, in your opinion, what we would get in the outskirts of Oaxaca today, or near Pueblo, or in Guerrero? MILLER: Well, it depends what class you are. We’ll say that you’re on a ranch in northern Mexico. COWEN: You have enough money to buy what you want. MILLER: I would say it’s probably very similar to it, except for the step for Maseca intervention in 1925 after the Revolution, because the government wanted to control the food supply and that’s why tortillas are so cheap. That was the same thing in France. When you go France today, why baguettes are the price they are. But the food: what the Spanish brought was pigs. They brought, obviously, pigs, sheep, beef. Unfortunately, it ruined the ecosystem of the pre-Colombians, which was not dependent on rooting animals. The same thing they did in the Caribbean, as you know, for trade. Europe could not grow its own food. Europe, and if you take Columbus leaving, 30 percent of the people were starving to death without warfare. If you throw in warfare, in the end of the 15th century, 50 percent of the people would have been dead. COWEN: In New York today, why can I not get good New Mexican green chile at a restaurant? Can’t they just put it on a plane and fly it over? MILLER: They do put it on a plane! COWEN: I would pay twice the price . . .
COWEN: But it’s not good. COWEN: Why is this the case? MILLER: Maybe it’s not roasted, then, correctly. You need a fire roaster. It needs to be done within the same time that it’s picked and it comes at the end of the season. The best time is at the end of August. Now, there is a chile that’s even better, which is called the chile pasado, which is the red chile. COWEN: This is from New Mexico? MILLER: When the green turns red, the ristras, right? That chile, before it gets dried, it’s actually fire-roasted and then peeled and then dried. That chile is sublime. It’s called chile pasado. We’re losing, even in New Mexico or Mexico . . . that tradition came up from Mexico. It was north of Monterrey. What I’m afraid of is we’re beginning to lose the palate and those ingredients. When you talk about a historical dish what I always think is — when they look at masa, which chef ever told you that you must put the probiotics back into . . .
COWEN: No one ever told me that, believe it or not. COWEN: Here’s a piece of purple corn. I bought it in the United States, but as you know in Mexico there are many colors of corn. It’s vastly superior to even good corn we get in this country. What’s the future of corn? Is the future of corn that the varieties from Mexico somehow will be replicated, spread, evolved, and innovated upon? 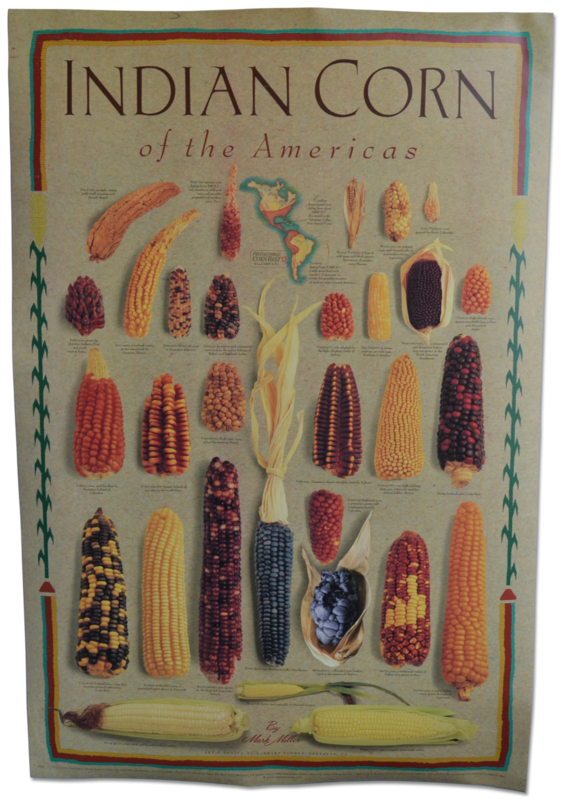 Or is the future of corn a kind of monoculture where most of it is boring, a few strains of it taste good but are not really that interesting, and the different colors of corn in Mexico eventually disappear? COWEN: I know you did the corn posters! MILLER: There are 8,862 varieties of corn. MILLER: No, I don’t know them, but they’re in the University of Seattle, in the gene . . . whatever, the cryo- . . . you know. The point is, I think that corn has a lot . . .
MILLER: I think because of what’s happening in the United States about “natural,” I think that once people put their palates and really queue them up, and they can tell the difference in varieties, is when we’re going to get much more varietal sort of differentiation in the market. If I give you six varieties of corn and I tell you “eat them” and you can’t tell the difference, then you probably are unwilling to pay for them. If I gave you six varieties of red wine, one is a Bordeaux from the first growth and one is basically from Trader Joe’s, and you can’t tell the difference, well, you probably don’t . . .
COWEN: This happens, that a lot of people can’t tell the difference with wine, but we still market the different strands. Maybe people are fooled or it’s a placebo effect. MILLER: No, but people are interested in change today and what’s happening in that place and time. Let’s say that the 400 varieties of Native American corn come back to North America, and let’s say that you’re in Portland. There might be varieties that can only grow in Portland, who only grow in Maine, only grow in New Mexico. For instance, the microbrew industry. We talked about that in Portland. If a community wants to engage its food culture, on the community, local level, it can be amazing. One of my growers in New Mexico — when I first opened the restaurant in Santa Fe, “Can’t grow this, can’t do this, can’t do that.” Regular, you know, can’t do anything. Well, Elizabeth Berry, my grower, grew 482 varieties of beans without electricity on land that essentially the Anasazi used in the fourth century. These bean pods, do we actually know how many beans, or the variety of what a diet was? Native cultures — Franz Boas, we get into that, but he collected 254 salmon recipes. A Kwakiutl book would have been 3,000 recipes. The average American housewife does 79 in her lifetime, so who’s richer? COWEN: We now move to the underrated versus overrated segment of the talk. You’re free to pass on any of these, but I’ll just shoot out a few things. You tell me if you think they’re underrated or overrated. MILLER: It’s too status-oriented. It’s dated. I bet you the average age of the inspector is over 30. I don’t trust anybody at a company if the mean age is over 35 anymore. I think that they’re out of touch. I think they’re replaying old themes. I think the Michelin guide is about status, reification of a belief system in a particular food and culture system that was based on the aristocracy. COWEN: The fast food restaurant Chipotle. MILLER: Well, they just got knocked today; their stock just went down another 7 percent. They’re closing their ShopHouses, which I knew they would. They can’t do that. Chipotle had a good space. It did a lot of education. They developed Niman Ranch, for instance. The problem with every big food company, not just Chipotle, is you have 2,000 restaurants. You say you’re cooking the food, but the food comes from two plants, from a factory like Miniat that takes 200,000 pounds a day. The public transparency . . . are you actually cooking the food, or are you manufacturing it? I think every big food chain is probably going to face this gestalt of where, if you’re cooking, you can’t be a chain. The problem with every big food company, not just Chipotle, is you have 2,000 restaurants. You say you’re cooking the food, but the food comes from two plants…Are you actually cooking the food, or are you manufacturing it? I think every big food chain is probably going to face this gestalt of where, if you’re cooking, you can’t be a chain. COWEN: You don’t need brands, right? COWEN: I agree. The idea of brands is in some ways on the way out. You’re a big lover of the culture of the American West. There’s a lot of movies about the Old West. The movie High Noon, overrated or underrated? COWEN: Gary Cooper is amazing. MILLER: I mean, I think that those are epics. I think that that’s our mythology. COWEN: Of America? All of America? COWEN: Maybe this is a loaded question, but southwestern cuisine, now, is it overrated or underrated? COWEN: So it’s underrated? And why? COWEN: Because it’s hard to get the right ingredients? Takes a lot of time? MILLER: Yeah. It was just too difficult and the chefs today are not interested. You have to translate three great traditions. For me to do modern southwest, you have to know Mexican, you have to know Native American, and you have to know the history of the European influence on the Western traditions. COWEN: [gesturing to book] That’s your Red Sage book. MILLER: I think that even chefs in my own kitchens, for instance, even after 11 years, could still not make some of the sauces after 11 years in the kitchen. Some of the sauces have 30 to 40 ingredients and each ingredient, each time, has to be tasted because an eggplant, like a good . . . When you’re in Japan, why does it take 15 years to be a good tempura chef? Because that eggplant in June is tighter, has less water, is less bitter than the one in August, to where it has a different batter, a different temperature. That 20 courses will require that chef to make exactly over 75, 85 decisions for each meal he does through each week of the year. I know a sushi chef in Tokyo who knows 1,900 varieties of seafood. COWEN: What’s the most underrated European cuisine? MILLER: I think Hungary — I’ve been going to Budapest. I would say right now Budapest is on fire. I’m having great food, great wine. I think it’s amazing. COWEN: I love the peppers there too. MILLER: I love the chiles. Have you been to Kalocsa? To the chile museum? COWEN: No, I have not. MILLER: It’s amazing, and they’re doing amazing things. London is always exciting because it’s the most international, most open; but I have had some great food. I have eaten meals in Budapest for 40 euros that equal anything in Paris for 400. COWEN: The most overrated cuisine in Europe right now? MILLER: Especially in the central part of Paris that’s more of the historically dated, sort of, tried and true. I think that even finding a good French bistro is difficult. I think that they’re in an identity crisis. I think that the French themselves are, again, like the Japanese — they’re trying to reinvent themselves, but they don’t want to let go. MILLER: The younger chefs, the best . . .
We went to Dersou, which is the hottest restaurant. It’s a Japanese chef, who’s lived in Paris; he’s got this gastro-modern thing that’s going on three months, and he’s only serving cocktails, no wine. I took some older French people and they just couldn’t get it. They thought that it was an abomination. He wasn’t interested in French cuisine. He was reinterpreting where French dining and authenticity is in 2016. The younger chefs are concerned with authenticity and the authenticity of the experience for their guests is more important than an authentic technique and recipe. COWEN: Where in the world do diners have the most advanced, exploratory, best palate? At the macro level, not for one particular thing. COWEN: US? Why do you say that? MILLER: Because they’re just the most — they have the least hang-ups about identity systems with food. COWEN: But we used to be food morons, right? MILLER: No, we were food-ignorant; there’s a difference. MILLER: Moron means you can’t learn. MILLER: I think we were intimidated by — we were colonized by the idea of European culture and French food, Chinese food. I came from French-Canadian and I was told . . .
Also as immigrant groups vie for status and power within a society, they generally refer to a third — the Italians didn’t like the French. I lived in Boston. My grandmother, if she saw a piece of garlic, she would’ve disowned me. MILLER: But the point was, I think, right now as a multicultural society, the chefs are traveling. They’re opening. Because of the immigrant populations people experience those levels . . . and the younger immigrants, we’re into our third generation, so Cassia for instance, third-generation Vietnamese in LA. It got the big read up at New York Times ; I’ve been there a couple times. You’ve got other chefs who are extending their own traditions. You talk about Slanted Door; you talk about Cosme in New York City. What we’re beginning to understand is what I have fought for my whole life: is ethnic food is as complex as any expensive French restaurant is. COWEN: Or often more so. COWEN: Now you teach classes in tasting appreciation; is that correct? MILLER: Yeah, with companies, generally. COWEN: You try to teach the executives or the workers? Or who is taught? MILLER: We try to teach everybody. It depends. Most importantly if a brand is to have a brand . . . we’ll get into branding, but let’s say that I’m working with a culinary department. Just the culinary department. What we want to do is bring the marketing people in, we want to bring the consumer-research people in, we want to bring in the culinary people, because we want a lexicon of what are we describing. What is the experience? We’re not creating a product. We’re creating an experience. What is the consensus for what we like and don’t like and what’s good. So, women: women have a different palate than men. If I know that the objective consumer were — jerky, for instance, more women are eating jerky. Women don’t like to chew. We know that. The point is women also like more natural flavors, not as much dramatic flavors as men. Once we know this fact and we bring everybody in, we create jerkies. Next time you eat a hamburger, just put it upside down. Take your favorite hamburger from your favorite brand and put it upside down. You’ll see that it eats completely different. If we have, for instance, a hamburger; that’s something simple. Six layers in a hamburger is 36 possibilities of eating it. Next time you eat a hamburger, just put it upside down. Take your favorite hamburger from your favorite brand and put it upside down. You’ll see that it eats completely different. All the fat receptors are now in a different mode. It’s almost like turning something to a mirror. The experience and expression of it is completely — people don’t think that food . . .
Everybody I watch, people in a restaurant, you know what they do? COWEN: What do they do? MILLER: But people have bad taste habits. They’re not trying to taste. COWEN: What’s another of a bad taste habit that a lot of Americans have that you could train someone out of? MILLER: No attention span. We make them put it in their mouth. First of all: texture, temperature, movement, and flavor. Which one is first and second always by the semiautomatic nervous system? You have no control over. That’s why sushi is kind of interesting. Because sushi comes out of this acceptance in Japan of the body as scent and sensual. It’s a movement into projecting sensual. We’re getting often the sensual space of how we use our body. Fuchsia talked about crunch. What’s interesting to me would be about the psychology of why do we have that, because they choose to do something and they choose to not do something else. Anyway, if you put something 10 seconds in the middle, then chew, because you get the retro-nasal, there’s two parts. Smell first. First of all smell, like in a wine thing. Get the right software in your head. Is it a fruit or is it a hot dog? Chew for a few seconds, then stop, and then the enzymatic response is 10 to 15; some flavors take 30 minutes to develop on the palate completely. I always take 10 seconds and then chart. What I’m going to ask you: is it a fast flavor or a slow flavor? Lemon is fast. Pork fat is slow. COWEN: What do you mean long or short? MILLER: A glass of wine can be very long; it can be very short. Raisins. We always start with raisins. We take something that people know. Is a raisin long or short? Actually it’s long. So, it’s fairly slow, it’s fairly long — taste occurs over time and space. Do not use cognitive systems for sensual perception. What you’re doing is, vocabulary is symbolically compressed in order to be expedited in terms of the way we communicate. However, it does not communicate sensual. Otherwise we’d have no paintings, poetry, and music. MILLER: Once you tell people not to use words, you have to activate other cognitive perceptual systems. No words. Body temperature. Don’t chew, minimum of 15 seconds, and then — memory is important. What I want you to do then is taste it the second time, because what you will have missed is that basically it’s gone by. You’re going to fill in. You know when you scan and you read? You can actually see and understand by scanning. The brain scans known flavors. It fills in complexity. You taste in 200th of a second. You have 2,500 taste buds; each one has 10,000 nerve endings. Those two million perceptions per second, your brain is going to have to figure out where to put them and how to categorize them. Unless you’ve had preset categories and scan really quickly . . . memory, you’ve had it and I let you do it the second time. You will see that you can fill it in and you’ll be able to get the richness, the complexity, and the length, and the flavor. By telling people taste occurs over time and space, just that sentence is the first one I always start with. You have to move into that perception. That way of thinking about taste. It is not immediate. It’s not cognitive. It’s not electronic. It’s not oral. The enzymatic response of the body for breaking down the flavonoids, it takes time. What people don’t give me is time. COWEN: They don’t give you time? MILLER: They don’t give me perceptual time. COWEN: How much does the culinary cutting edge depend on context? Let’s say we took a Mark Miller–equivalent 50 years ago and fed that person — not a very young you, but someone your age now 50 years ago who knew the foods of that time — fed that Mark Miller the culinary cutting edge of today. How much would he be able to appreciate it? MILLER: A lot. I think because the context of using the body and perceptual space remains the same. I may have changed from Chez Panisse to Alinea — we’re talking about generations of restaurants. I think that chefs or I think that what culinary art does, is it moves our ability to move our perceptional sense of exploring the world, just as a weaving or a painting does. It creates other realities that we may not have actually realized were there, but were there. When I talked about chiles, I was the first person — why was I the first person to write a book that chiles had flavors? They’ve been eating chiles for 5,000 years. MILLER: It took as much art and complexity as a winemaker. He was actually shocked, but he said I was correct. MILLER: He had never thought — but he had never tasted it, right? Don’t go in with the wrong perception. Don’t think that chiles are hot, for instance. COWEN: Sometimes I wonder about this. You are what, in my opinion, what is sometimes called a supertaster. You can taste fine gradations and different flavors and items a level beyond how much other people can. Even people who might call themselves foodies. Right? You have some special sensory ability. MILLER: Well, actually, the term supertaster is about the number of actual taste buds per centimeter on your palate. Actually I am not, biologically, a supertaster in terms of the number of receptors that I have. COWEN: You may be better than a supertaster. It’s at the cognitive level rather than on your tongue. MILLER: What I try to do is what — remember the book The Shallows came out? — I try to do “deep tasting,” like deep reading. Are we looking for patterns that exist within the perceptional space that I wasn’t looking for before? All of taste is about — part of it is memory, part of it is perception, part of it is connecting those complexities. Interesting enough, I’m slightly handicapped because I have a little bit of auditory processing disorder. What happens is, when I was a child all of the world around me was categorized into taste. I can hear fine, but it creates cognitive dissonance. I can’t drive the car. The point was, because I learned that my brain can actually look at taste and actually make the world around me sensible, then when I looked at a raisin people would say, “What do you mean that there’s more flavors in raisins?” I say, “No, pay attention. Listen, and listen carefully.” Have you ever listened to a harpsichordist? Their attention span has to be so precise, that it’s a difference of a 40th of a second. Now, when you play another electronic music, you don’t develop that skill set. COWEN: How many different flavors or kinds of soy sauce can you distinguish by taste? MILLER: I’ve done a panel of 40 at a time. I’ve had a kitchen home of up to 70 at a time. COWEN: And you can tell one from the other? MILLER: They all have a characteristic profile of complexities, of umamis as we might call it. Dark, rich tones. If you put 15 cabernets in front of me I can still tell. You can do that. Anybody can do that. We generally don’t think of shoyu or soy sauce as being that complex, so when we taste it we don’t . . .
COWEN: I do, but yes, I understand. So, soy sauces to me . . . When you’re in Japan, the pickle on the table will tell me within 20 miles of where you grew up and where you live. The shoyu at the sushi — each great sushi house not sushi bars actually blends their own shoyu. I can tell, not only whether you’re from Edo, but what generation. Are you from the ’30s? The ’40s? The ’50s? Of what generation did you actually grow up to actually believe that that was the style of the shoyu? If you’re in Kyoto, these people they . . . Japan has really been that way because it is literally those 40 regions are so maintaining that isolation that you learn the differences from going from one to another. I can take a train of two hours in Japan and cover more culinary differences than you can in the United States. COWEN: Thank you for those wonderful remarks, Mark. With that, I turn the questioning over to Megan McArdle of Bloomberg. 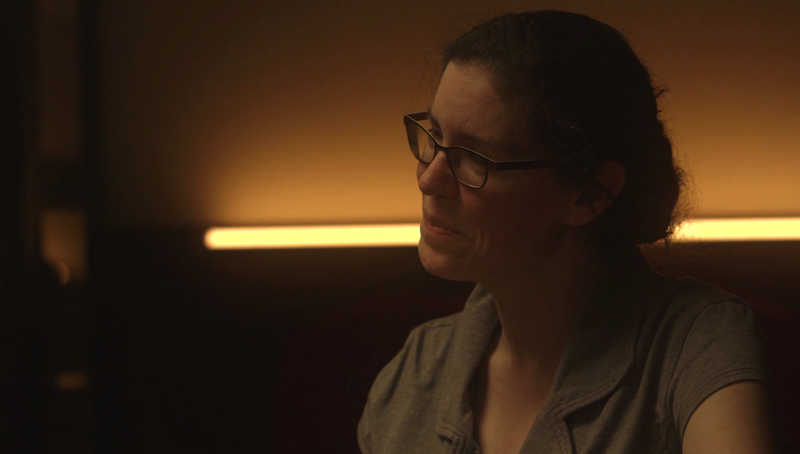 McARDLE: You talked about how women and men’s palates are different. How is their cooking different? I mean, there is an editor I know now at Eater, was at Saveur, who said that male cookery was all sort of knives, guts, and fire. “Knives, spice, and fire,” I think, was how she put it. That often seems like a fair characterization. My guy friends really want to load up the heat. I remember having a guy tell me that the secret to really good cooking was just dump Cajun seasoning all over everything. McARDLE: How do women cook differently? MILLER: I mean, we’re not going to get into developmental theory here. McARDLE: No, no — what are the characteristics of it? MILLER: I can tell you the general broad strokes: women are essentially more concerned with internal experiences. They are more motivated to talk to someone in a dining room table. The guy will look at the television. You get four guys, and the four women will talk to each other. That tends to be a little bit more subtle. It tends to be a little bit more in time. They don’t like the transformative process as much as understanding the — I’m going out on a limb — but they would prefer to accept the flavor, personality as is and understand it, rather than change it into something, that I do. Like Fuchsia said, if you took that carrot, that pork, that kidney, and just made it spicy, that’s what guys — they want to change it and transform it. They want to create something new. They want to actually not allow . . .If you allowed nature to take its course, then you wouldn’t be cooking. You don’t have to heat. You’re not transforming with spice. Except for Lydia Shire in Boston — she was the only one that I could never tell — women tend to actually believe that the ingredient should be left alone (Alice Waters or that school of cooking), and that you can literally coax natural ingredients into something that’s complex and satisfying and sophisticated and healthy. And if it’s sustainable, it’s even better. Men: I believe that if we go too far, that we’re not going to learn how to make moles, that we’re not concerned with other black bean soups. When I lived in Guatemala, every woman in the village made black bean soup. Not one of those women ever told me, “I go to the market and buy organic black beans, so mine is better.” No. [laughs] Every woman knew how good her black bean soup was. The best woman in the village, she has 37 steps. She really got me going. Women tend to be more focused and more creative and more subtle. It doesn’t mean that they’re not as rich a tradition. It just means that it’s a different level of recognition. Does that make sense? MILLER: Chichicapa by Del Maguey is my favorite mezcal in the world. When it’s tequilas, I still go for silvers, unless you present it in a margarita. You should always use silvers because they don’t have any wood. If you’re using fruit, whether it’s a mango, strawberry, or anything else, that idea of the gold coin or the upscale — that’s just a marketing ploy to make more money. It makes them more money, but it makes worse margaritas. Mezcal, though, was — and is — a native tradition built on extreme attention to nature. It’s only wild agaves. Each one of the palenques that Ron uses only can produce 400 cases a year. It’s totally out of that village and that tradition. Even though those 20 villages are within 100 miles, they might as well be two continents apart because they express the whole world of . . .
McARDLE: Your favorite guilty pleasure? Bad food? MILLER: It’s not a bad food. It’s ice cream. Ice cream is God’s gift, too . . .
MILLER: I like them all. I happen to like cold. I have a very sensitive palate. I won’t eat any hot soups or teas. I always eat cold when I can get it. That’s preferable. That would be my preference. Hot fudge sundae. How’s that? McARDLE: We talked about this a little earlier. I have never been able to stand the taste of cooked fish. I have been trying, because it’s good for me and my husband loves fish, but that fishy flavor makes me gag. How would you advise someone like me? Obviously, this is a broader question than just fish. I’m generally pretty willing to eat almost anything, but you have that one thing or you have a couple of things where you’re desperate to be able to tolerate it; how do you go about learning or teaching yourself? MILLER: We talked earlier. I don’t eat cooked fish at night because the enzymes in your body change. I only eat raw fish and shellfish. You actually may be the supertaster. Now, supertasters tend to have — the problem with parents who don’t realize the child — they become very fixated. They like things or don’t like things because they’re such powerful sensations for them. Children, in particular, don’t really know what to do with that category. If they had something that was green that was very bitter, that’s why they won’t eat green beans. McARDLE: I can — like a seared tuna, right? That’s basically raw inside? McARDLE: Yeah, I can totally eat that. It’s when it’s a cooked salmon or something. MILLER: How far is it cooked? Do you know how many degrees? McARDLE: No. I’m not daring enough to cook my own fish, because I hate it so much. MILLER: Flavonoids develop and change over every two or three degrees. That’s why it’s a misnomer, the more you cook meat, the more liver-y it’s going to get. Fish is exactly the same. What you want to do is get a piece of fish and find out. 130, I bet you the higher on the more objectionable flavonoids have not developed. It’s cooked, 135 is cooked, it’ll go up five, but I would just go home, do salmon and halibut. I would start with halibut, because it could be the oils. It could be a combination of oils and flavonoids, or we could just make a really spicy fish when we go to a country mart in Mexico City. Just put red and green chile, throw it on the grill, and I bet you would eat it. It would be wonderful. McARDLE: The sous-vide revolution: how do you feel about this? MILLER: I’ve been working with it a long time. I worked with American Airlines in the ’80s and ’90s, I worked with Cuisine Solutions. It is an amazing technique, and it tends to be overused by chefs who believe that a perfect texture is preferable to a more complex uneven. Now, actually that’s wrong, because the brain doesn’t know what it is. It knows what it’s not. The key to teaching flavor is not teaching what that ingredient is, it’s teaching what it’s not. If I have a sous-vide piece of lamb, and it’s not crusted, and it’s not browned, and there’s no Maillard — when you look at lamb, and it has rosé of 50 percent, it will start darker [around the outside]. It will be more Maillard-y, it will be cooked. The brain, then, has four, five different perceptional zones to actually understand and appreciate and differentiate. A sous-vide piece of lamb that’s pink all the way through, with one texture, with no Maillarding, and no flavor of the lamb developed, because it never went high enough — it actually wouldn’t be lamb-y enough, and it will taste like a lamb piece of bubblegum or a sponge. I use interrupted sous vide. I do a Chinese squab. I used to brine it for 48 hours with 14 spices, mainly cumin and chiles to get it all the way through the squab, then roast it, and then deep fry it like the Chinese. I found that by sous-viding it, they went in for 24 hours. Then I cook it sous vide at a different, higher temperature, even after it’s been brined. Then I deep fry it. I find that that, what I call interrupted sous vide, as a technique — you get intensity while preserving some freshness. Let’s say that I did scallops, and I do them sous vide. My scallops are cooked for exactly 18 minutes, and with a wine dinner, I want to match the chamomile in a sauvignon blanc. McARDLE: What is the biggest mistake that people make when they go into a southwestern restaurant and sit down and order? MILLER: They want chips and salsa; that’s a big mistake. MILLER: Well, it’s a phenomenon: first of all, they get it free. Second of all, chips are usually done poorly, and then the salsa is usually done poorly. It’s a good excuse to sit there and drink beers and margaritas. I don’t need that excuse. But what you’re looking for is something that comes into — let’s say buffalo. We eat more buffalo. I was cooking buffalo; it was difficult to sell back in the ’70s and ’80s. We know it’s healthier, we know it has less cholesterol. The other thing is, you want intense, small portions of food. When you’re looking at a southwest menu, you want to look for the sauces, the complexity. You want to look for things that would probably take you — some things have been cured. Even Red Sage, what was the first thing that we that we did? We actually did a carpaccio of venison. We had a tartare mix of venison and buffalo with sage; that was on the first menu at Red Sage in 1990. Now, if you go around the United States 25 years later, you don’t find that anymore. I don’t know if I answered the question. If someone came to you — this is a game my family used to play in the car — someone comes to you and says, “I’m a fairy: you are only going to be allowed to eat three foods for the rest of your life, three specific dishes.” So not like tacos, but a kind of taco. You don’t have to worry about nutrition, you don’t have to worry about calories, but you have to pick three foods, and those are the only three foods you can ever have again. Which three foods? MILLER: Certainly lobster, because I grew up in that part of the world. Nova Scotia, cooked in seaweed, with butter — drawn butter. I would say my shore dinner, which is lobster, clams — they’re all the one meal. McARDLE: Everyone always tries to layer. MILLER: Oysters, fried clams. Lobster for sure. I would say my second one would be, oh boy. Something spicy. I vie between Thai and Mexican as my two favorite spicy cuisines in the world. I would probably say a Mexican, amazing sort of taco with great salsas, and the right kind of tortilla. The third thing I might say would be, surprisingly, probably just a chuleton de buey: five-year-old cow, northern Spain, roasted completely, correctly, and the umami of each piece of meat is better than any other meat that exists in the world. There are better, richer things in Japan, but that part of northern Spain is just amazing. COWEN: What part of northern Spain is that? MILLER: It’s outside of Burgos, and it’s an extension of the Basque area. Those are working cattle. You saw the film, Steak (R)evolution?, I’m sure. There’s one that I like in Barcelona, which actually does the espadrilles out of the sea cucumbers, too. I think that the honesty of Spanish food, even though I went to elBulli many times, about seven or eight times, still remains a cuisine that — we talked about the ham that Fuchsia found. We talked about the ham in the Dolomites. I think that we look culturally for, that we’re always searching for those foods in our environment that would give us pleasure, that extend the body into that space, and that elongate our perceptional way of interacting with the world. When someone talks about three-year-old tabuko, it’s not that it’s that expensive. It’s that complex, and that’s interesting, that it requires so much of you to actually perceive it. You are more alive; you are more there. The ham is more there; that sense of presence is there. I think that’s what a great chef can do. You can stimulate that sense of being there, and we’re losing that. The virtual reality that’s happening: we’re losing our sense of being in presence. MILLER: Korean tacos! I know Roy, so that’s not fair; I know Roy personally . . .
MILLER: I know Roy personally. I think it’s a good example of what Roy calls authentic food. He grew up in LA; Roy Choi is Korean. He is LA, which has a lot of Mexican food. In the sense of combining his own interior reality into a projection on that plate, to me is perfect food. What a chef should always be doing . . . I’m not Mexican, and the reason that I created modern southwestern: I think it would be a lie for me to do a Mexican restaurant. Roberto Santibañez at Fonda, who is a good friend, and a partner of mine at a salsa company, is Mexican from Mexico City and does cook great Mexican food. I think that you can learn, but you should not co-opt an entire cultural identity. I was at Chez Panisse and I didn’t want to cook like Alice Waters anymore so I was — there is nothing wrong with Chez Panisse, but it wasn’t my food, and I was always arguing about it sometimes. The point is when a chef really understands the world and ingredients, and can bring that reality to his dining public. That’s an amazing explosion of creativity, and emotion, and theatre. And it’s wonderful, right? McARDLE: Or is. No, no, no. I meant when you left Chez Panisse. This is what . . .
MILLER: No, we all created the menus at Chez Panisse; it wasn’t Alice, even then, no. It was only because one of my advisors didn’t sign my thesis. MILLER: Anyway, I was supposed to be there for two weeks. I think that my food is a personal exploration of my own exploration of the world, and I look at the world through my senses. Mostly through taste, sometimes smell; I’m not a bad nose. What I’m trying to do is understand not only the world we live in, but sometimes past cultures. I try to look at pre-Columbian weavings. I try to get a list of all the pre-Columbian foods and we see, for instance, at Central — which is a very famous restaurant in Lima today — that that complexity of these chuños and this and things that grow were probably used, and stimulate. The problem is, do we actually have the palate to actually go back? Wouldn’t you like to live and . . . I don’t want to just see a Rembrandt painting, and I love Rembrandt. I want to actually go back and eat the food that he was eating, and the markets, and the cheeses, and the things that were done, because I want to try to understand where that painting came from. Not only the psychology of the artist. When I read a cookbook, or I go to a restaurant, I’m trying to understand the person, or the place, or the culture. MILLER: [laughs] The dark side. McARDLE: Well, but can it be done well? MILLER: It is done well. I mean fast food is done well. In Japan the places I go — I eat udon. I walk in; it’s being made by hand; it costs two dollars. I decide what I’m going to put on top and I can have a bowl. I’ve timed it; it’s 18 seconds. McDonald’s? It’s a lifetime! MILLER: Starbucks? It’s 8.4 minutes. McARDLE: Robot chefs. You’ve seen these machines now that they are going to have that are going to dice everything and you won’t need any human interaction at all. What do you think of that? I think that our model in the United States because of the real estate and economics of it is completely wrong. I think that a chef should open a restaurant at 10 seats; I think he should charge $100, and I think he should make $150, and he should not pay rent. Or have labor, or have overhead, or costs. MILLER: I think fast food . . . I think that our model in the United States because of the real estate and economics of it is completely wrong. I think that a chef should open a restaurant at 10 seats; I think he should charge $100, and I think he should make $150, and he should not pay rent. Or have labor, or have overhead, or costs. What you should do is honor the tradition of respecting the individual. In Japan they have this policy of not first customer. There is a policy of not taking you because they don’t know how you are going to act; they don’t know who you are. You’re eating with seven or eight other people as an ensemble. You’re not completely separate, so the idea of reinstituting cultural and social space and bonds and honoring — the chef is here to put something down. There is no waitress; there is no menu. That’s a personal connection, that’s like your mother. That point to me is that we have to go back to understanding that food is very part of our psychological sense of space, our body sense of space, our pleasurable sense of space, our own cultural identity. If we let other people take over that by organic, or this, or labels, or price, then what we have done is given part of our lives up and I don’t know that we’re . . .
I’m just saying — there’s 300 noodle places in Kyoto. Nobody charges more than $10 or $12. They’re all really good, they’re all a little bit different, and guess who doesn’t do well? Chains that charge $10 for noodles that they have to pay a high-end real estate, like Yoshinoya. There’s two of them in Kyoto. I’ve been going to Kyoto 50 years. I’ve never been; I’m never going to go. There is no reason to go. Chains only exist when the local community doesn’t provide the same service. So in a street-food market it’s accessible: I can eat in Thailand a quail for 75 cents. That same quail in Washington, DC, and New York City will cost me like $18.95. COWEN: Megan, Mark, thank you very much. The Mercatus Center at George Mason University is the world’s premier university source for market-oriented ideas. A podcast in which esteemed economist Tyler Cowen engages with today's most underrated thinkers in wide-ranging explorations of their work, the world, and everything in between.